In this work, three polymer suspensions were used for coating glass beads (GB), porcelain beads (PB), and polyethylene pellets (PP) in spouted bed. Subsequently, the continuous adsorption assays of the food dye Brilliant Blue FCF in a fixed bed column were performed, which was packed with the covered particles. Also, the static adsorption assays were carried out. The adsorption equilibrium isotherms were fitted by Freundlich, Langmuir, and Temkin models, being that the Temkin model was the most suitable to represent the equilibrium data. The particle coating in the spouted bed showed promising results due to the high efficiency of the process. 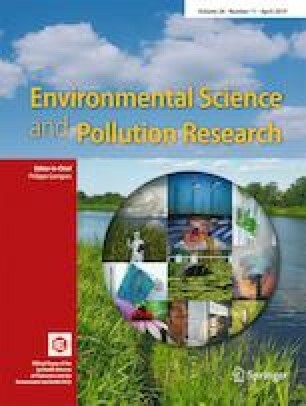 The PB, GB, and PP obtained coating efficiency values in the range to 92–96% when using the suspension of chitosan and hydroxyethyl cellulose. However, only the polyethylene particles coated with the chitosan suspension maintained its coating efficiency (95%). 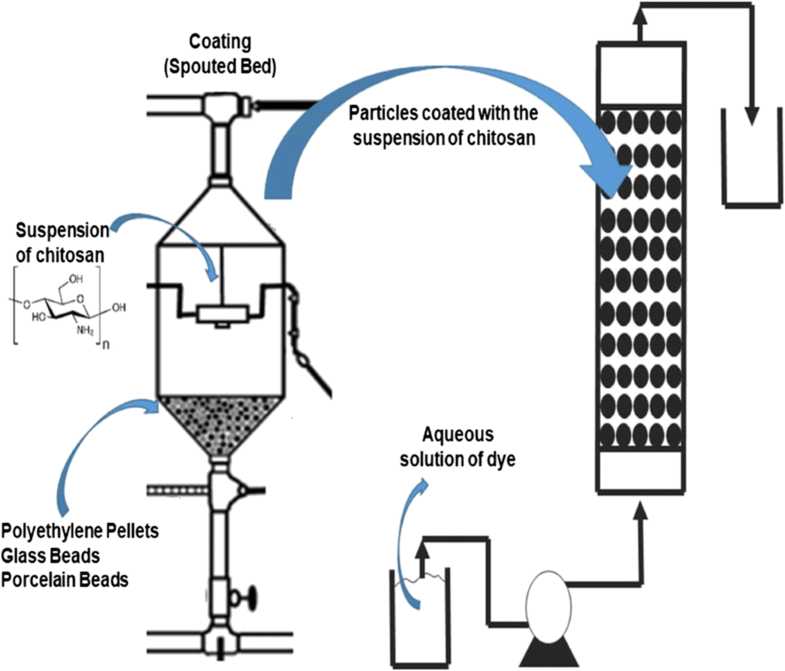 The maximum adsorption capacities at equilibrium of the coated particles of PP and GB were achieved with the chitosan suspension, being the values of around 800 mg g−1. Thus, the chitosan-coated polyethylene particles showed to be a promising adsorbent for fixed bed column. The CAPES (Coordination for the Improvement of Higher Education Personnel—Finance Code 001) and CNPq (National Council for Scientific and Technological Development) supported this work. Furthermore, the authors would like to thank CEME–SUL/FURG (Electron Microscopy Center of Southern/Federal University of Rio Grande) for the scanning electron microscopy images.